Victoria, Mahe (Seychelles) – April 2, 2018 (travelindex.com) – Easter 2018 has arrived and, with it, the peak period for many tourism establishments in Seychelles. 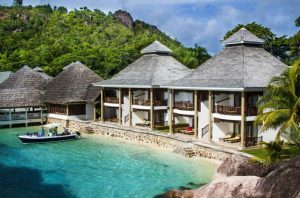 The desirable combination of a four-day weekend and perfect weather in Seychelles provided tourists and locals alike with the necessary ingredients for much anticipated family time and an unbeatable opportunity for some island-hopping. Easter marks the end of the first quarter of the year. Achieving all we set about to do as individuals, as tourism destinations and as a country in 2018 should now be on the table or on the priority list. The successes of 2018 thus far are being recognised, but the challenges are also being widely felt. The BIG QUESTION is what will continue to make Seychelles hold its place as a leading tourism destination in the eyes of discerning holiday makers. Seychelles must strive to live up to the expectations of those who select it for their dream holiday. The morning of the arrival of the first British Airways direct non-stop flight from London revealed the shortfalls in the International Airport arrival hall and resulted in many negative posts on social media and unhappy visitors. This is the first impression tourists will experience of Mahe, and we have a duty to display our professionalism in service delivery. Denis Private Island scored big this week, basking in positive visibility on Social Media with its exciting feature on UNILAD Adventure. This is really a positive plus for the tourism industry as a whole. The saying that every little bit helps is so true when working to be ahead of the pack. The Hippodrome Casino of Leicester Square of London, the known address of the entertainment world in London, has partnered with Club Liberté Casino of the Seychelles for marketing opportunities, another plus for our industry. It is important to also say Congratulations to Terrence Vel, the Chair of the Wildlife Clubs of Seychelles, for receiving the Point of Light Award from the British High Commissioner. This happened as the Seychelles was pushing its Blue Economy Strategy forward through the recent Sustainable Tuna Conference (BEST). After tourism, the pillar of the Seychelles economy which remains so dependent on a good Blue Economy management plan, is our fisheries industry. Protecting our environment and our UNESCO World Heritage Site of Aldabra has become a rallying call of patriotism. It is recalled that the Government of Seychelles has entered into an Agreement with India to erect a military base on the Island of Assumption, which is a stone’s throw away from Aldabra. The Seychelles Constitution requires the Government of the day to forward such proposals with a foreign state to the National Assembly and now that the leader of the Opposition has put his foot firmly down against this proposal with India, the proposed project should be dead. Seychelles has now rallied and will be watching closely to ensure the project remains dead and the island’s unique and fragile environment continues to enjoy the protection it has always had.